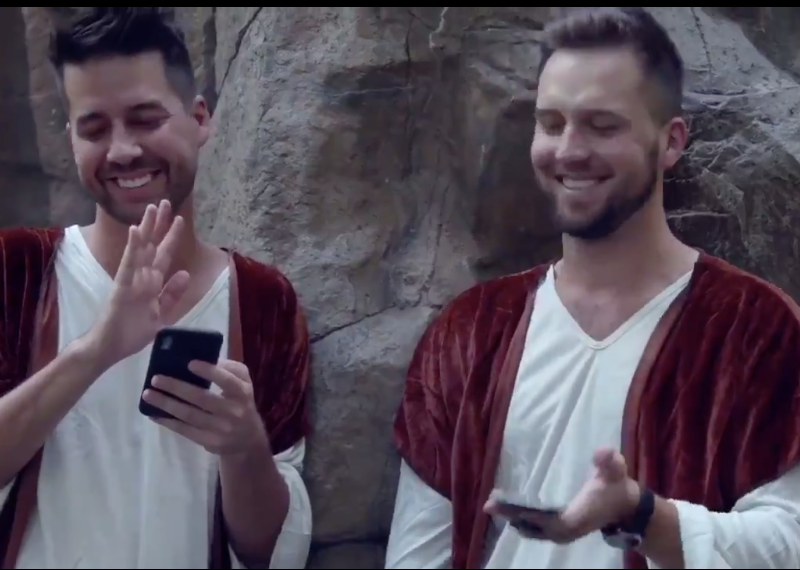 How Would Bible Characters React if they Had iPhones and Social Media? Comedian John Crist is at it again! You may know him from the Church Hunters video series, or Celebrity Pastor Fantasy Draft, or Virtual Reality Church. And, when I wrote about Virtual Reality Church, some people thought the satire was true! So I think Crist got the last laugh on that one. He is a viral video sensation who has been doing stand-up comedy for the last nine years. Sharing the stage with Tim Hawkins, Jeff Foxworthy, Dave Chapelle, Dana Carvey and Trevor Noah among others. His website says he has been named one of the, “Top Five Comics to Watch.” And he has recently offered his opinion on current church events such as John Gray and Lauren Daigle.